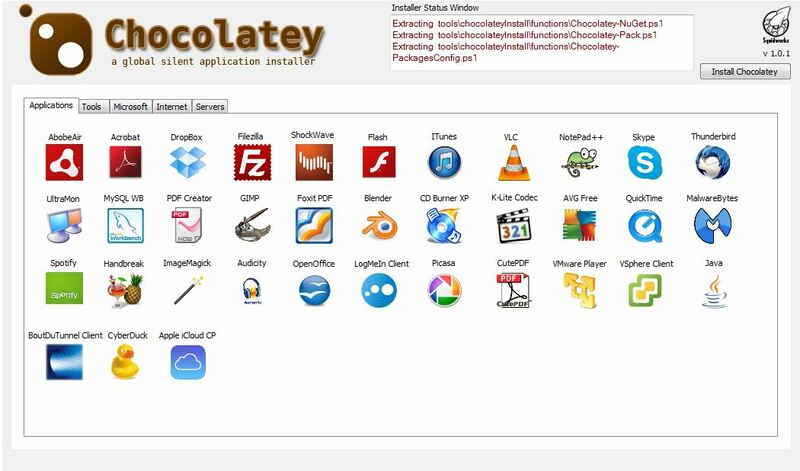 Chocolatey for LabTech is a global App and tool silent installer. Currently in Version 1.1.1 we host over 100 applications, servers and tools available that can be directly installed to the managed PC. 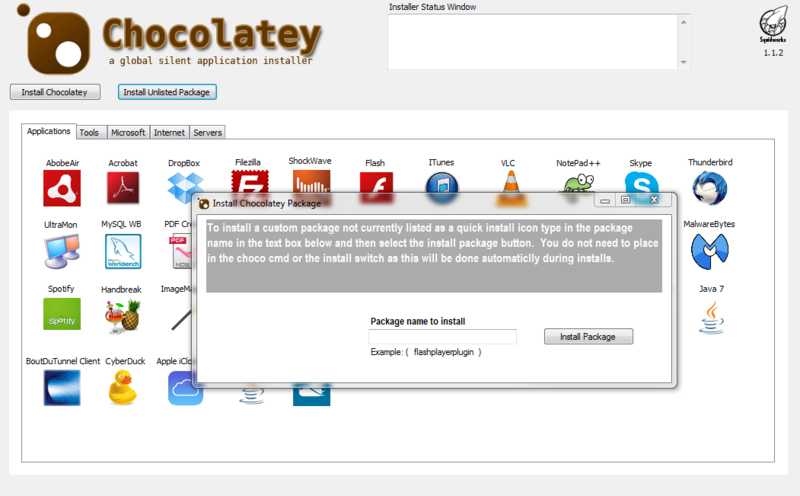 First install the Chocolatey Package manager on the managed PC then start selecting different apps to install on the PC. Each app you click will auto install on PC in just 1 minute. Using the Installer Progress Window you can monitor the install of the applications live as it happens. 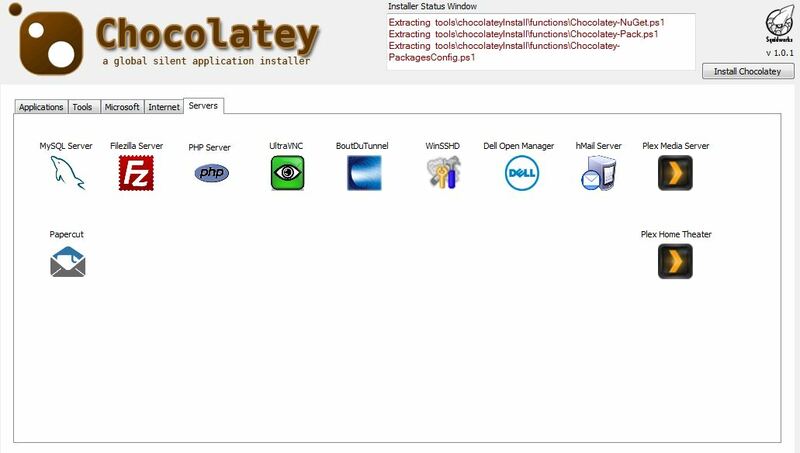 Chocolatey will keep your packages up to date. 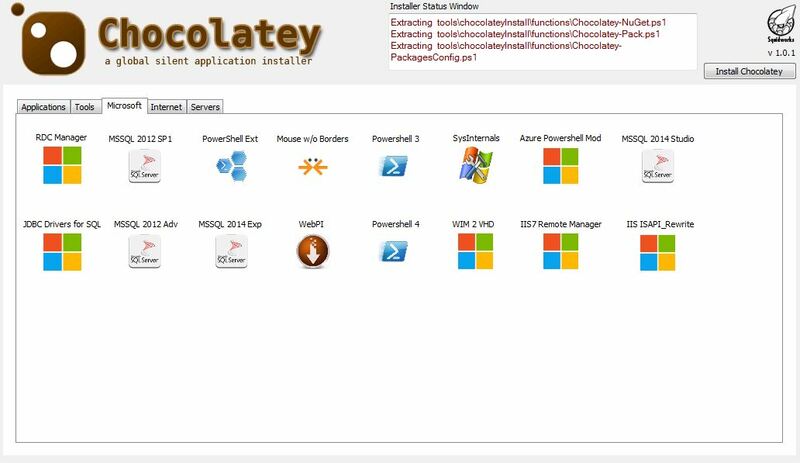 Chocolatey 1.1.1 now allows you to update any installed package on a regular schedule to keep the deployed software current. Every night a cmd is sent to the systems set to auto update that has Chocolatey check to see if any new updates exist and if found to install the updates. Then once a week Chocolatey checks to see if it needs to be updated and if it finds a new Chocolatey version it to will update. Any word on an updated version to match the upstream changes? I think they are on .9.9.6 now. Love the plugin!! Great Work!! 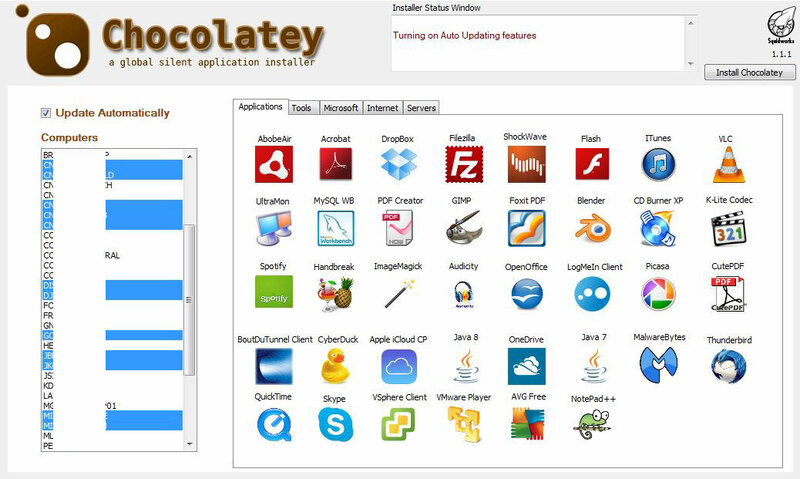 I have two questions/issues… We just upgraded/updated to LT10 and I was wanting to know if the chocolatey plugin will still work. This reason why I’m asking is I just tried installing dropbox on a few test computers and they showed successful. However, dropbox was not installed on the computers. We are running version 1.1.2. I figured out the issue. I logged into the computer and ran the install manually via CMD. We need a way to use the -force and -y command. I had to run this command ” C:\>choco install dropbox -force -y “. What version are you using? The Force CMD should of not been needed and if your on version 1.1.2 of our plugin the “-y” switch has been added to support the new requirements at Chocolatey. 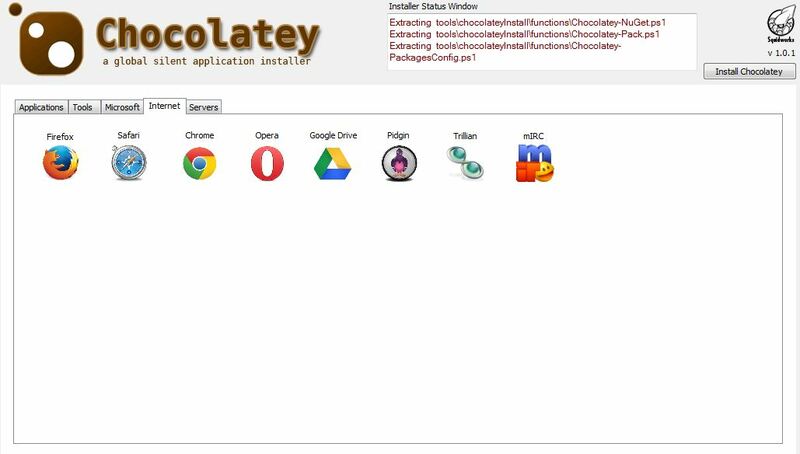 We also are on the eve of releasing Chocolatey II in general beta before AN15. This will be the bomb as it brings many new abilities to LabTech. Watch for a POST here on Squidworks by weeks end. We are running on Version 1.1.2 according to the icon in the upper right corner of my tab. Still awaiting the 2.0 update! Seriously craving form some new chocolaty goodness…. Pleasure meeting you at AN2015. You have me geeked for the new version. Aaron, AN2015 was Awesome!! Happy to meet everyone there! I just recently installed and began testing. Pushed Java and it states that installation was successful, but Java is not installed. I looked at the log file and it states that it was installed. When I try to push again, it states that app already exists. Any suggestions? Running on Win7 Pro 64bit, version 1.1.2 via Labtech 60.276. Thanks. Just a question concerning the update automatically. Does it automatically do that if you push the Chocolatey agent through the computer screen where there isn’t an ‘Update Automatically’ checkbox? Also, if it was installed through the Computer screen and it doesn’t automatically update, can you push it again with the checkbox enabled on the client screen to update automatically will it change it to update automatically? I am just trying to see what to expect and make sure that I am always setting it to automatically update. I’d like to do a feature request: I’m not able to see in LabTech if the plugin is installed on a computer and if auto-update is enabled. I do see that in the plugin database. Any change you can buildin a checkbox or something like that? Yes it does, Try unlocking the DLL file by selecting the properties and clicking the unlock button. I am interested in some licensing info for costs etc. I have used the older version of chocolaty with great success. Also, does this version support LT 11? Hello, do we need to puchase the Chocolatey Plugin for Labtech AND Chocolatey agents? 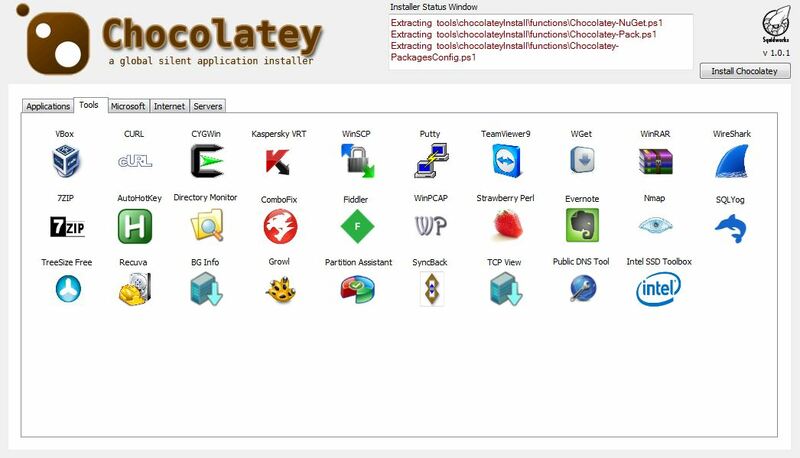 Or is Chocolatey fully inclueded in the plugin for Labtech?